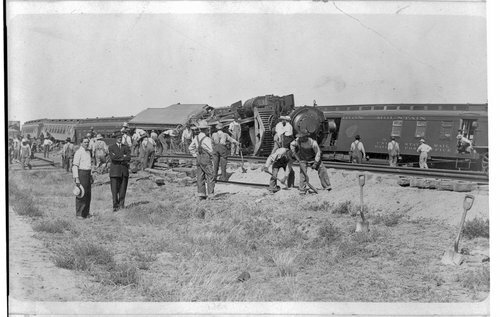 These two black and white photographs show the wreckage from a Missouri Pacific passenger train near Selkirk, Kansas. The incident happened four miles west of Leoti, Kansas, when the east bound passenger train #202 derailed due to washouted tracks. One death resulted from the accident.